International conference 14th Applied Statistics 2017 is organized by Statistical Society of Slovenia and University of Ljubljana in cooperation with Statistical Office of RS. 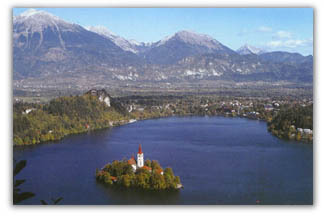 14th AS2017 conference will be again organized in Hotel Ribno, in the vicinity of the magnificent Lake Bled. The main goal of Applied Statistics 2017 conference is to provide an opportunity for researchers in statistics, data analysts, and other professionals from various statistical and related fields to come together, present their research, and learn from each other. A four days program consists of invited paper presentations, contributed paper sections from diverse topics, and starts with a workshop. Cross-discipline and applied paper submissions are especially welcome.